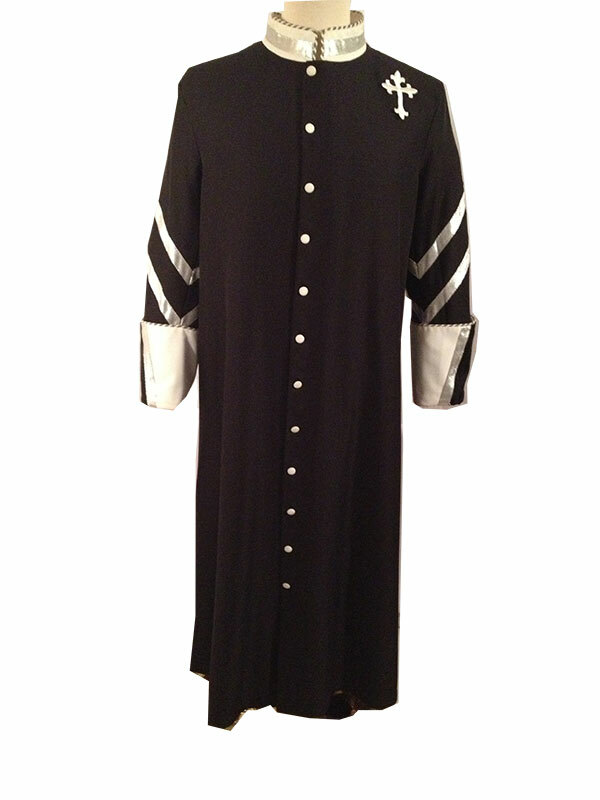 Cassock robe with silver and white cuffs and collar. White buttons and silver ribbon. 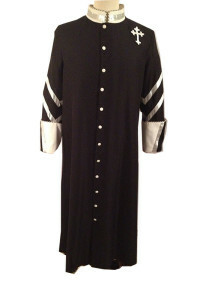 Back pleat with silver trim. Matching cape.